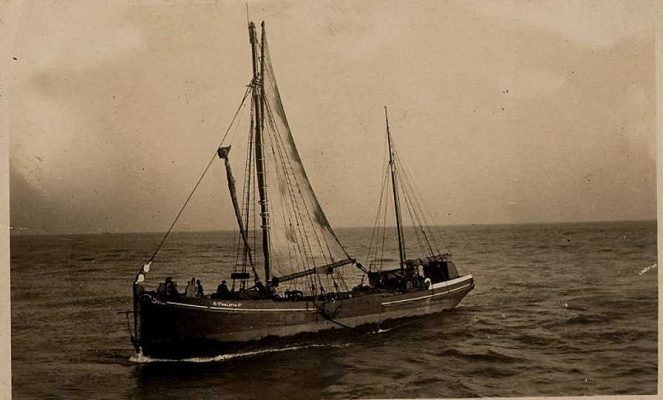 For many years, in peace and war, Thalatta carried 150-ton cargoes under sail to British and Continental ports, surviving as one of the last few wooden coasters in trade, latterly under power. Thalatta is a seagoing vessel built with massive oak frames and planked now with iroko; a superb example of a fully rigged traditional spritsail barge. She was built at MacLearon’s yard at Harwich in 1906. The word Thalatta is Greek, meaning the Sea. Craft of this type developed to combine good sea-going qualities with an ability to navigate easily in the shallow rivers of the south east coast. 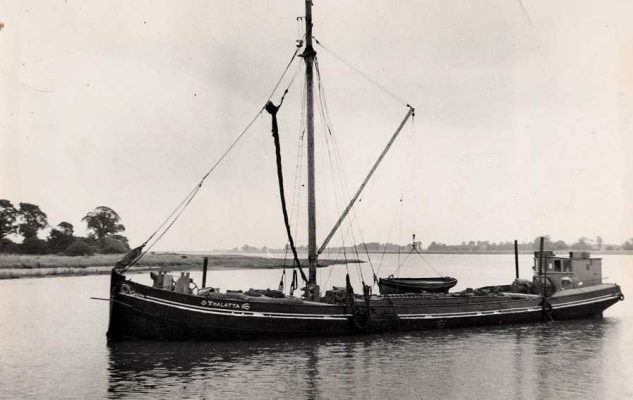 For many years, in peace and war, Thalatta carried 150-ton cargoes under sail to British and Continental ports, surviving as one of the last few wooden coasters in trade, latterly under power. 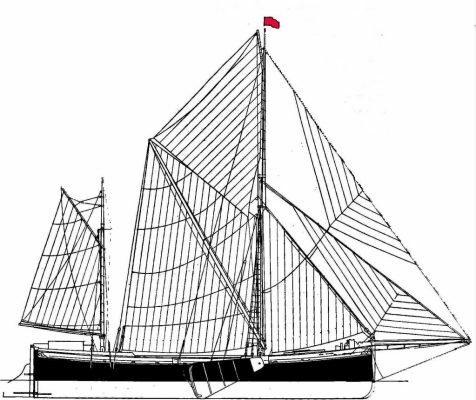 The barge’s sailing rig is nowadays augmented with a powerful modern diesel engine; otherwise she remains in character and appearance almost unaltered since the days of sail. In trade Thalatta would have been crewed by a Skipper, Mate and Third Hand just as she is today. –large capacity (eg 150 tons) and flexibility to carry a wide range of cargoes, such as grain, coal, stone, bricks, bulk materials, animal feeds, waste products, straw and reed, timber, etc. In 1967 the ship was entirely restored and re-rigged to take on a different role as a schoolship under the flag of Sail Trust, initially, and the East Coast Sail Trust from 1971. Since then thousands of young people have benefited from the experiences of living and working as crew on Thalatta’s five-day voyages.